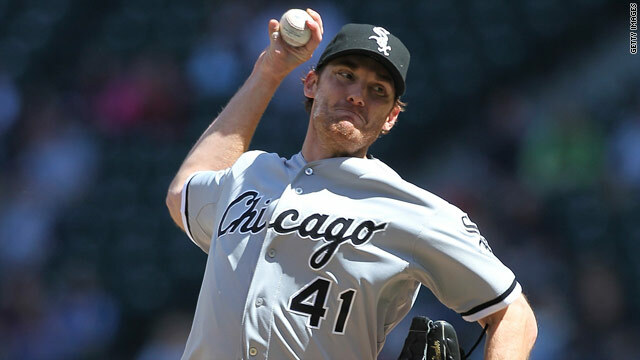 Philip Humber of the Chicago White Sox pitched a perfect game Saturday in a 4-0 win over the Mariners in Seattle. Only 20 other pitchers have tossed perfect games, in which no opposing batter reaches base, in Major League history, according to MLB.com. It was the first no-hitter of the 2012 season. Humber threw 96 pitches, 67 for strikes, and struck out nine. The last batter he faced, Brendan Ryan, nearly spoiled the perfect game when he struck out but had to be thrown out at first when the ball got past Chicago catcher A.J. Pierzynski. Until Humber's gem, Philadelphia's Roy Halladay had the most recent perfect game, on May 29, 2010, against Florida. Oakland's Dallas Braden had the American League's most recent perfect game, on May 9, 2010, against Tampa Bay. The last White Sox pitcher to throw a perfect game was Mark Buehrle against Tampa Bay on July 23, 2009. Tonight and tomorrow night, look up at the sky for a spectacular light show. The Lyrid Meteor Showers happen annually, but this year’s "moonless" night and lack of cloud cover for the western two-thirds of the United States will make for better views. The moon is in its new phase - meaning the side facing Earth isn't lit up by the sun, NASA's meteor shower expert Bill Cooke told Space.com. Last year, the moonlight made it harder to see the Lyrid show. "The Lyrids are really unpredictable," Cooke told Space.com. "I'm expecting 15 to 20 Lyrid meteors an hour. Back in 1982, they outburst to nearly 100 per hour. You really can't predict with this." Space.com reports that the Lyrid shower - which takes place as the Earth passes through dust from comet Thatcher - has been watched by humans for more than 2,600 years. The meteor shower's name comes from the constellation Lyra. The best times to watch are after midnight and just before dawn. Look to the northeast and pick a viewpoint well away from city lights. The darker the sky, the brighter the meteors will appear. NASA recommends watching with the naked eye instead of through a telescope or binoculars. You can also join NASA's live chat tonight with Cooke and other experts. Bonnie Schneider is a meteorologist for CNN and HLN. Her book Extreme Weather is on sale wherever books are sold, and through her website: BonnieWeather.com. Earth Day is Sunday, April 22. Happy Earth Day, everybody! 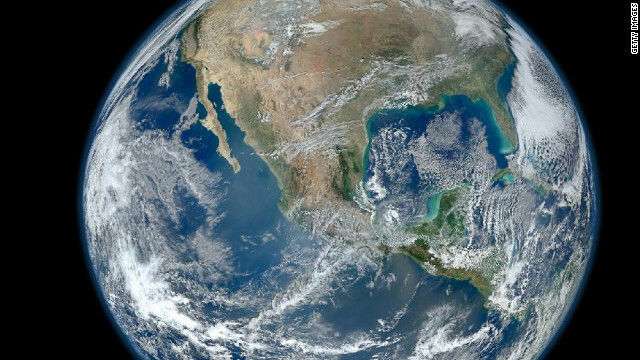 More than a billion people in 192 countries take part in Earth Day activities, according to Earth Day network. 4.43 – Pounds of "municipal solid waste" generated per person in the United States each day in 2010. 34.1 – Percent of "municipal solid waste" that ends up getting recycled. 55.43 tonnes – CO2 emissions per capita in Qatar for 2007, the highest in the world. 5 – Percent of Americans who are vegetarian. 16,500 – Number of "Energy Star" certified buildings in the United States. 6 – Cities in California on the list of Top 25 Cities in the United States with the most "Energy Star" certified buildings. 8 – Cities in California in the Top 10 on the list of the Most Ozone-Polluted Cities in the United States. 7 – Number of different SPI Resin Identification codes for recycling on plastic goods. 39 – States with laws regulating the use of these codes on 16 oz bottles. 35 – Percent of hybrid car owners who buy another hybrid when they get a new car. 2.4 – Percent of the "new vehicle market" claimed by hybrid cars in 2011. 81 – Percent who switched regular light bulbs with energy-efficient compact fluorescent bulbs. 70 – Percent who use reusable grocery bags instead of plastic or paper bags at the store. 1.2 million – Homes in the United States that use solar power.